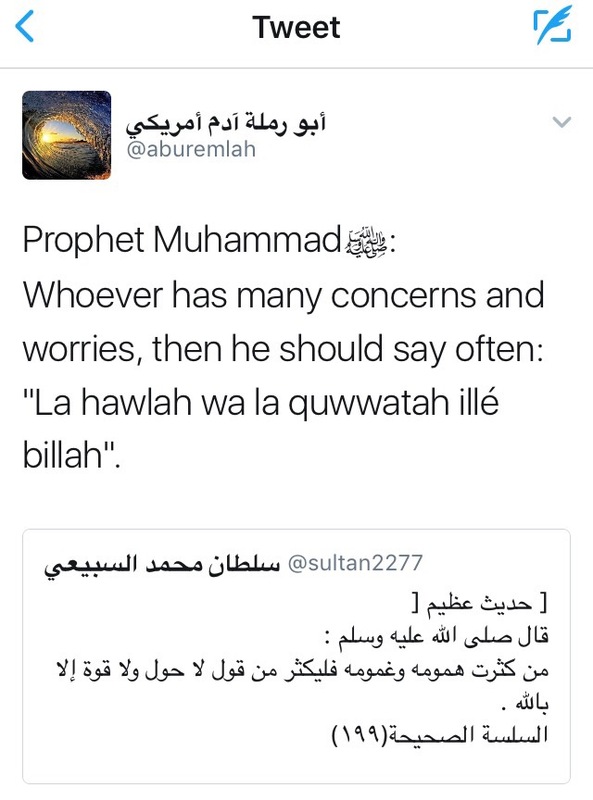 Whenever Allah’s Messenger became ill, he used to recite the Mu’awwidhaat (Surah No. 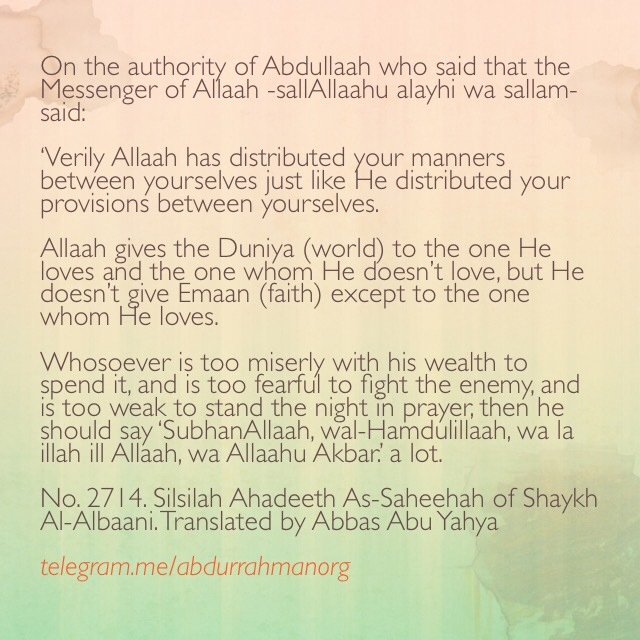 113,114) and blow his breath over himself ..
Whoever has many concerns and worries ..
Verily Allaah has distributed your manners between yourselves just like He distributed your provisions .. 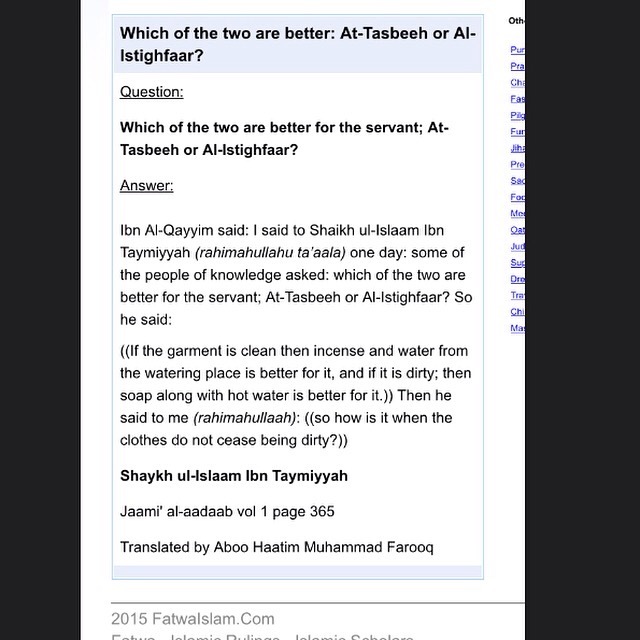 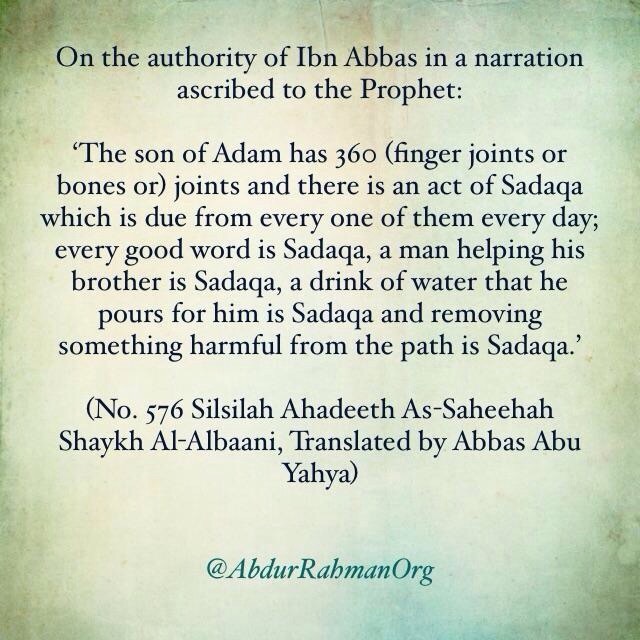 Which of the two are better for the servant; At-Tasbeeh or Al-Istighfaar?